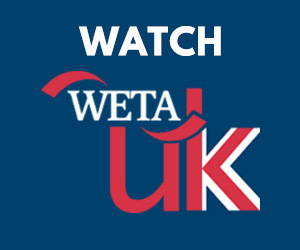 Relevant to Our Interests: British TV Highlights on WETA This Week! Thought it might be useful to start providing everyone with a handy reference guide to our upcoming must-see British programming of the week here on WETA, to make sure that no one ends up accidentally missing anything important. Let us know if this feature is helpful, or if I accidentally end up leaving off anything you'd particularly like to see covered! Happy Monday, and hope you’ll find something you’re excited to watch this week! Monday – Tonight William & Mary returns to its regular 10pm timeslot with two back-to-back episodes. Polish off Series 1 and get started on Series 2! Tuesday – Sherlock’s “A Study in Pink” airs at 8pm. We’ll be airing all three episodes of the Masterpiece Mystery! hit on Tuesdays in November, so mark those calendars accordingly. Thursday – WETA Mystery night means loads of British sleuthing going on. Watch Sherlock Holmes (Jeremy Brett edition) in “The Problem of Thor Bridge” at 8pm, Agatha Christie’s Poirot in “The Underdog” at 9pm, and the two parts of Foyle’s War’s “Among the Few” start at 9:52pm. Friday – An important note for our Eastenders fans: Due to special programming for Veterans’ Day, we won’t be visiting Albert Square this week. But not to fret – next Friday, November 18, will feature a four-episode block to make up for it. Saturday – We’ve got Doc Martin at 8pm. Catch “Better the Devil” and “Uneasy Lies the Head” from Series IV. Sunday – The amazing duo of Alan Rickman and Emma Thompson star in The Song of Lunch on Masterpiece Contemporary at 9pm. We’ll also wrap the first series of Hustle with back to back episodes starting at 10pm. Time for the Friday News Roundup! News of the Day: Downton Abbey Renewed! Downton’s second season, which wraps in the UK this weekend and will air in America starting January 8, has been doing fairly gangbusters ratings for ITV, so this isn’t exactly shocking news, though it’s certainly very welcome. Downton Series 3 will be comprised of eight episodes, set over the two year period of 1920 and 1921. Crowleys in the Roaring Twenties? Yes, please! Obviously, as this news was just announced yesterday, there’s no indication of when Series 3 will debut, either abroad or here in America, and it's highly likely no one involved has given any thought to any of that just yet. I wouldn't expect to hear anything on that front for quite a while, actually, but stay tuned for updates as news becomes available. New Downton Abbey Series 2 Promo! We’re now 66 days from the premiere of the new series of Downton Abbey on January 8, 2012. Just over two months to go! If you need more ideas on things to do while you’re waiting for new episodes to return, why not let Masterpiece executive producer Rebecca Eaton offer her suggestions on how to survive the hiatus, including several great ideas for the history buffs in our crowd.